This product has a 2% surcharge to cover the cost of selling this product online. 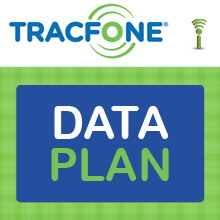 TracFone® Wireless is the largest independent nationwide provider of prepaid wireless communications. TracFone is a pay-as-you-go, prepaid wireless service that has the largest digital coverage area in the United States. There are no hidden charges, nationwide long distance is already included in your price, and there's never a roaming surcharge, just a flat rate. Plus, Tracfone offers all the full featured calling features such as caller ID, call waiting, 3-way calling, voicemail, text messaging, and inexpensive roaming (or free on GSM models).